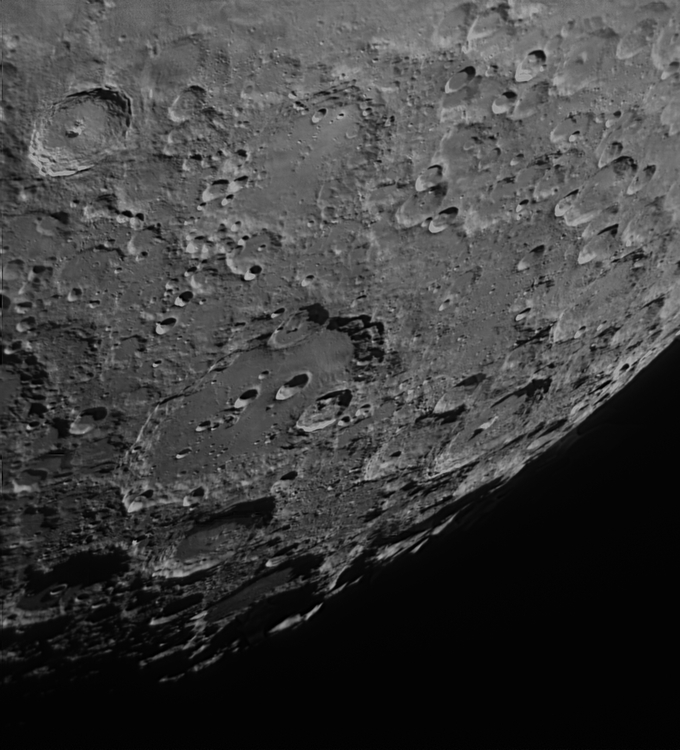 Clavius crater and surrounding area. Taken from my back garden in Northumberland with a Celestron c11, Cgem mount and qhy5iii 178m Camera, using a baader ir pass filter. Processing done using as!2 for stacking, Registax for wavelets and final tweaks on my phone.